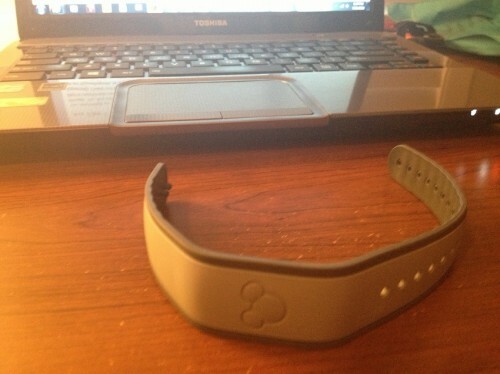 Part of Disney’s MagicBands Testing? Here’s Everything you Need to Know. Disney is continuing to roll out MagicBands, the handy dandy alternative to your Key to the World Card, across property. While Disney originally planned to roll out the bands property-wide by the middle of this month, it now appears that testing will continue at least through November. What does this mean for you? Well, if you’re going to Disney World between now and Christmas you’ll most likely use the bands, although you should monitor the situation. Using the bands isn’t complicated, but it requires you to take several steps before you travel. First things first, you’ll want to get set up online with Disney. 1. Go to MyDisneyExperience.com and log into your account. If you don’t have one, you’ll want to create an account, which takes only a few minutes. 2. Once there, add your resort reservation. This is your confirmation number and the lead guest’s last name. You can customize each guest with a cute Disney-themed avatar at this time. 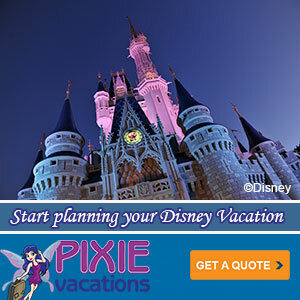 If you have a Disney package, your tickets will be automatically added. If you don’t have tickets on your package, you’ll have to have to add them manually. This can be a problem if you’re buying them at check-in, because you can’t choose fastpasses until you have a valid ticket. 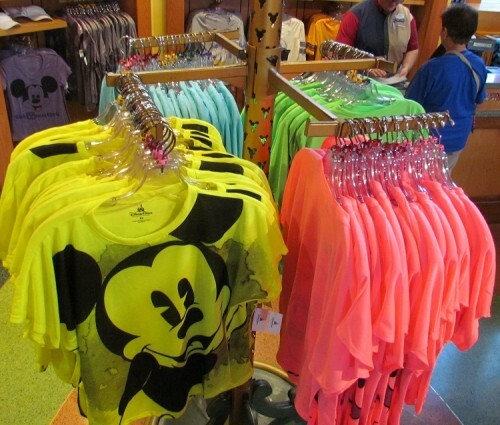 Followers of this blog know that I keep an eye out for any new t-shirts Disney sells at the parks. They’ve actually been pretty good about releasing humorous or trendy graphics on a regular basis. Summer has always been a slow time for new releases, but like a charm, on my first post summer visited I spotted these three new t-shirts. 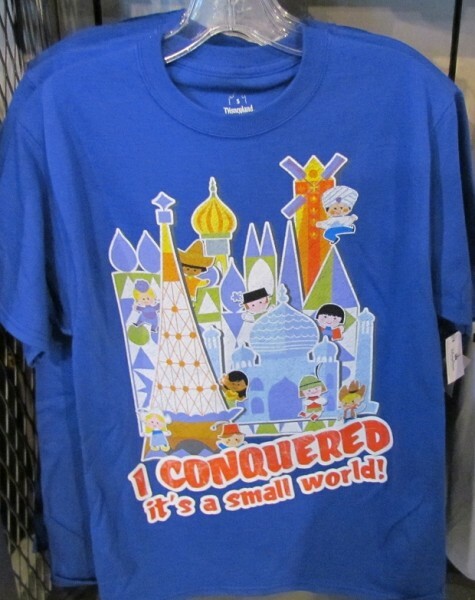 This next shirt would look a lot better if the earful tower was there instead of that awful hat. Dropped in on Downtown Disney the other day to check in on construction progress. Turns out not so much. But I did spot some fun new t-shirts with a pocket, a great set of winter sweaters (I know it’s only August, but it will get cooler soon), and more. I promise to have more from Downtown Disney soon, but in the meantime, here’s the latest Disney-Wear for you to enjoy. 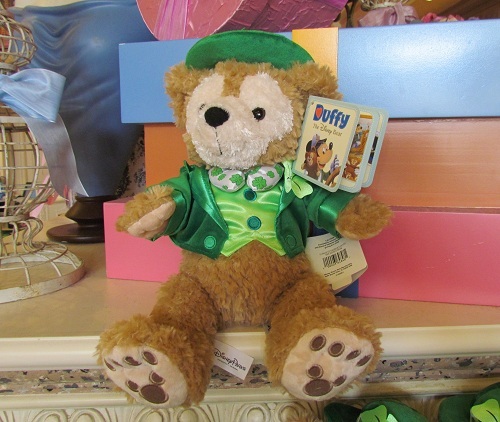 First up is a cute Saint Patrick’s Day outfit on Duffy the Bear. Say what you want about the merchandise team manufactured character, he has a good fashion consultant. 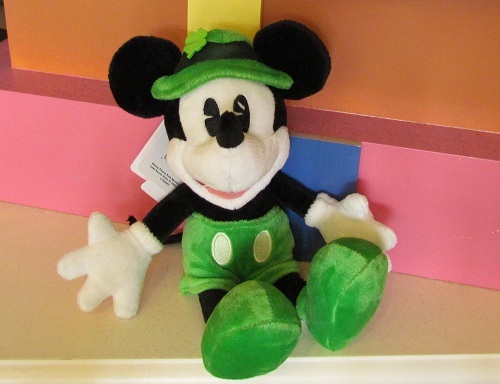 Mickey, on the other hand, while always cute, definitely eeds some fashion help in this un-inspired piece.